How long is a flight to New Zealand? 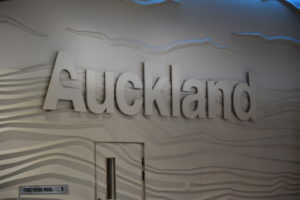 A flight to New Zealand is long – very long! Being situated in the far south of the Southern Hemisphere, it is safe to say that New Zealand is extremely far away from most countries. It is isolated in the Pacific Ocean with only Australia and some Pacific Islands relatively nearby. New Zealand is also one of the closest countries (the other is Argentina) to Antarctica. This is great for working holidaymakers wanting to get as far away from home as possible! Check the table below to see how long the average flight time is to get from home to New Zealand. We have also listed the time difference between your country and New Zealand. How long is a flight to vacation place from New Zealand? It’s not every day that you get to be in the “land down under”. Whilst you are enjoying working and travelling in New Zealand, how about visiting our Aussie neighbours in Australia? 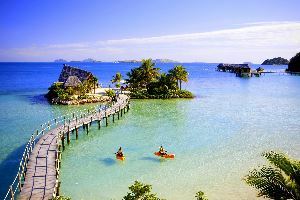 It’s not too far to visit the Pacific Islands to top up your tan or learn about fascinating cultures. Take a look at our table below for flight times between New Zealand and the nearest holiday destinations, as well as their time differences.